Tune in as Chanel from Chanel’s Pink Tulip on Mass Ave. discusses the new shop along with their featured products (including Chartreuse Soy Candles)! Watch live on WishTV Channel 8 or online here. Airing on July 3rd from 9:00am – 10:00am EST. 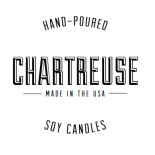 This entry was posted on June 24, 2013 by chartreusecandles and tagged chanel's pink tulip, chartreuse soy candles, indianapolis, Indianapolis News, Indy Style TV, mass ave, shop local, Wish TV.